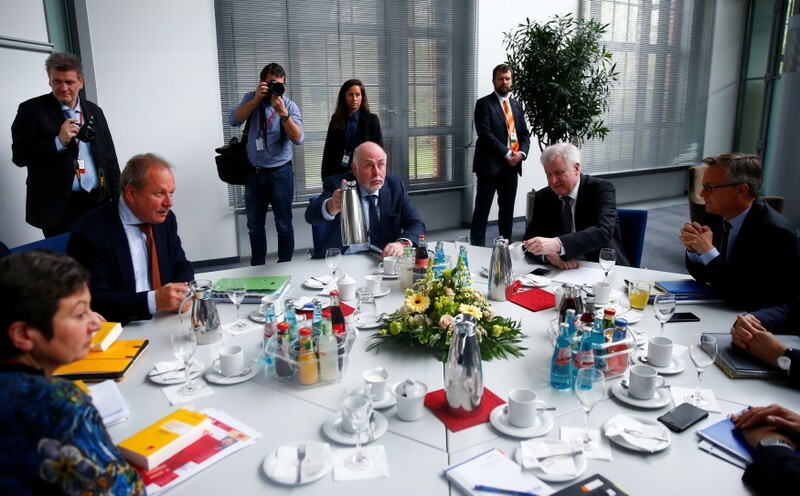 POTSDAM, Germany (Reuters) – Germany’s public sector unions and employers on Tuesday reached a breakthrough in marathon pay talks, two sources involved in the negotiations told Reuters. A compromise reached during the talks must still be approved by the Verdi trade union and the dbb association of civil servants, which had been seeking a pay rise of 6 percent, or at least 200 euros a month, the sources said. The deal must also be approved by the VKA Association of Local Government Employers, who were to be informed on Tuesday evening, the sources said. No details were immediately available about what is likely to be a complex agreement, The sources said the resulting pay raise would come in a phased process. Negotiators for the unions and employers began a third round of talks in the town of Potsdam near Berlin on Sunday after warning strikes by more than 150,000 union members last week. The unions had called for a 6 percent pay rise, or at least 200 euros more a month, for 2.3 million public sector workers, but hope to extend the deal to another 344,000 civil servants, judges and soldiers. Employers had balked at the unions’ pay rise demand, but agreed that public sector workers should benefit from strong growth in Europe’s largest economy. Verdi chief Frank Bsirske told reporters before Tuesday’s round of talks that the two sides were “closer to an agreement”, but said there was still a number of questions to be resolved and any agreement would be “very complex”. Buoyant tax revenues, a record budget surplus, falling unemployment and low borrowing costs have fueled a consumer upswing in Germany. In the industrial sector, 3.9 million workers agreed on a pay and flexible working hours deal in February that amounted to a roughly 4 percent annual rise for 2018 and 2019. Inflation edged up to 1.5 percent in March. The European Central Bank is keeping a close eye on German wage negotiations for any sign that wage growth is picking up, potentially lifting inflation and giving the ECB added leeway to start winding down its massive stimulus program. Last week, hundreds of flights were canceled as tens of thousands of ground staff and other public sector workers staged walkouts, which also hit nurseries and rubbish collection in German cities.